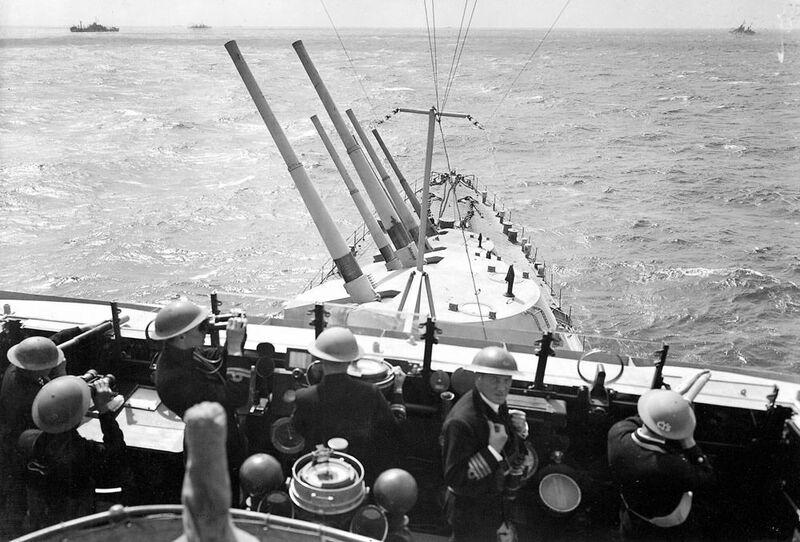 A view from the bridge of the cruiser HMS Euryalus (launched 1939) as the ship prepares itself for an air attack, circa 1940. Ships in the distance (from left to right) are British merchant ship HMS Breconshire (launched 1939), cruiser HMS Penelope (launched 1935) and cruiser HMS Cleopatra (launched 1940). This HMS Euryalus Preparing for an Air Attack Art Print is created using state of the art, industry leading Digital printers. The result - a stunning reproduction at an affordable price.